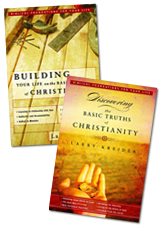 This series includes these books: Discovering the Basic Truths of Christianity and Building Your Life on the Basic Truths of Christianity. Click on each title for more details on the book! Save! Get both books in the series together.